Minnesota Public Radio News reports that the Patrol on Tuesday released squad car video of the June 11 chase. 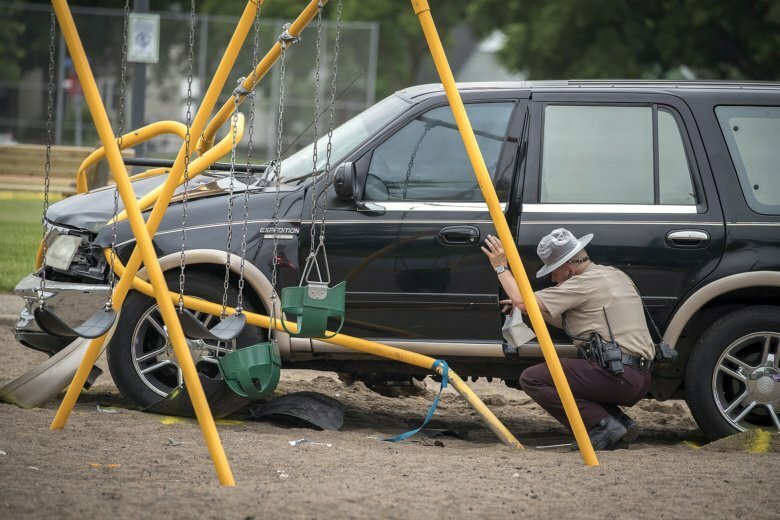 The six-minute pursuit ends when the driver barrels into playground equipment at Jenny Lind Elementary School, striking three siblings, ages 2, 3 and 4. The children were seriously injured but survived. State Patrol Chief Col. Matt Langer says that while seeing troopers drive fast is uncomfortable viewing, there are times when it is required to mitigate greater potential risks. The video doesn’t include the moment the children were hit. The driver, Kabaar Powell , is serving a 33-month prison sentence for the crash.